paper or design to use as the flag about 8.5″ x 2.75″ – I print on standard 20lb paper so it waves like a flag should! 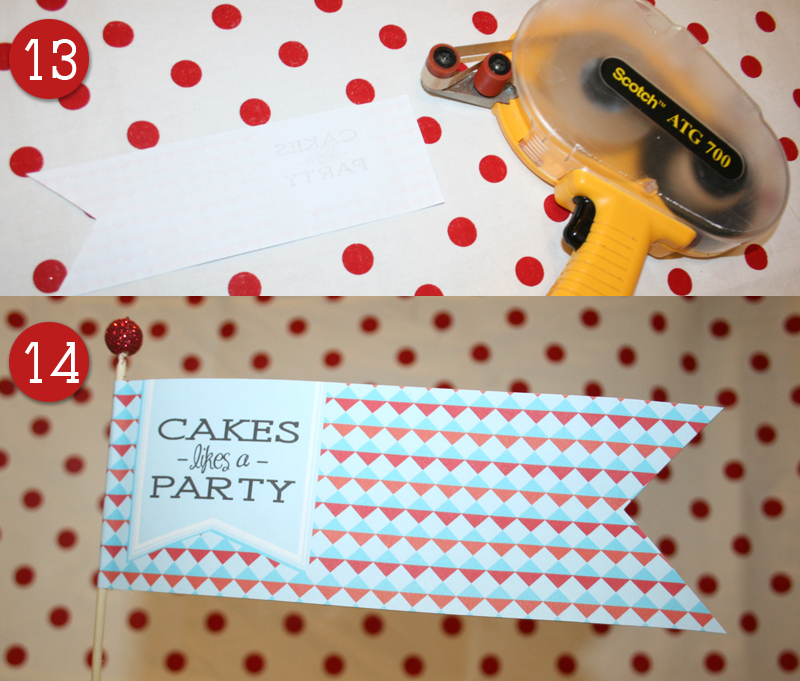 Crafty Jan makes these a ton so she’s got some great time-saving tricks. So what are we waiting for? Let’s hop to! 1. 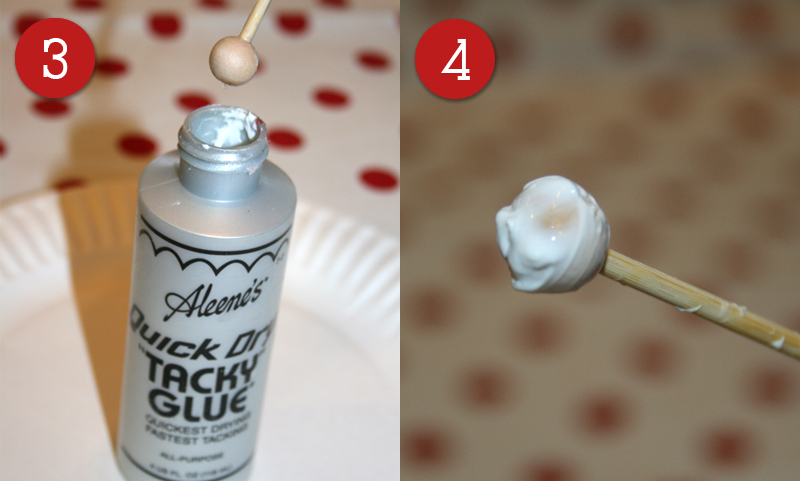 Dip the tip of your skewer into the glue bottle. So clean and easy! I probably would have poured glue all over the plate. No waste! Love it. 2. 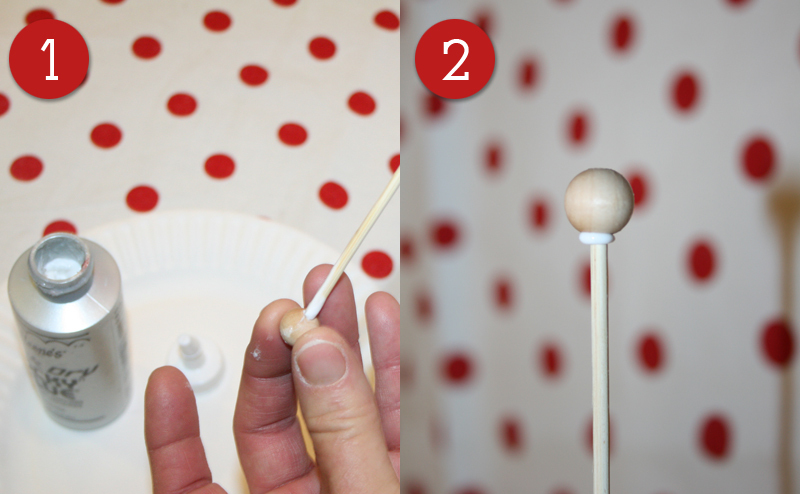 Now put that wood bead onto the glued part of the skewer. 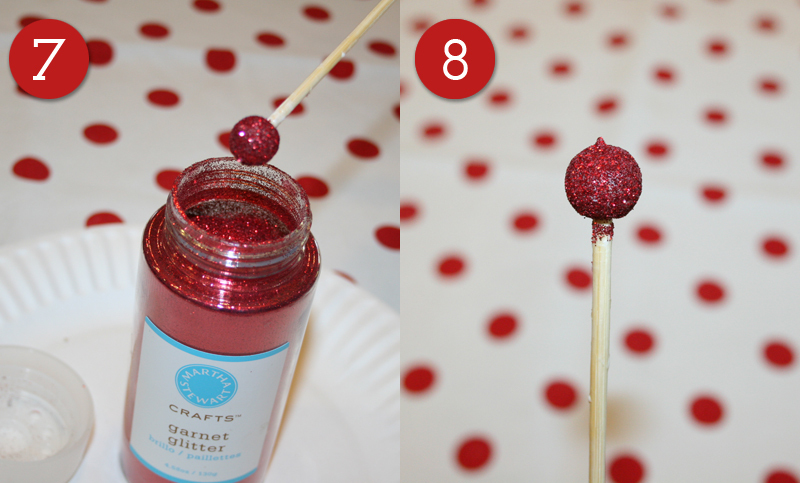 Now this is important info right here: WAIT until that glue dries or you will lose that bead on the next step. Isn’t waiting so dang hard? 3. All dry? Okay, now dip the ball into the glue. 4. What you’ve got is a nice little gluey mess. 5. 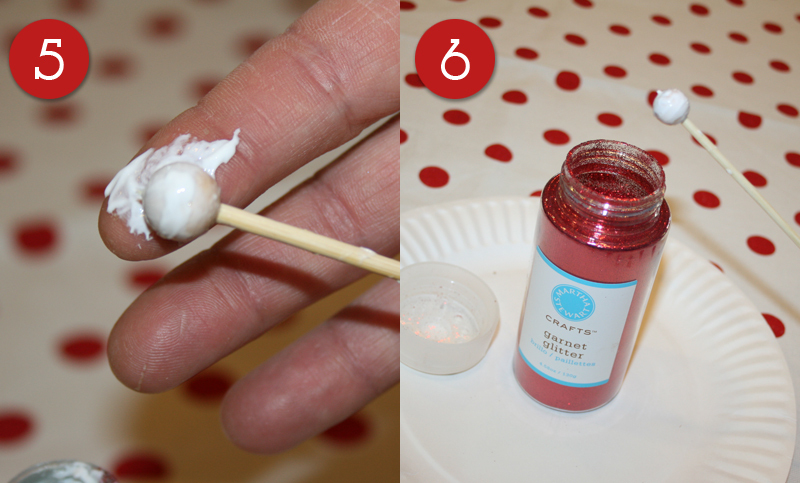 Now use your fingers to make the glue less messy and more uniform. 11. 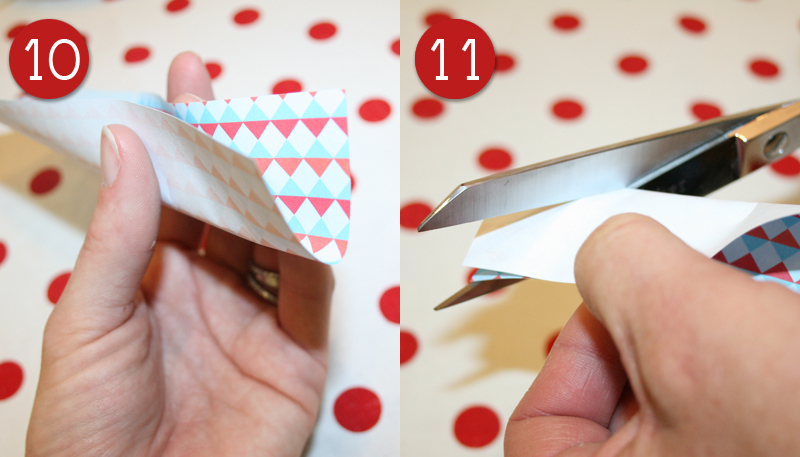 …Then snip it diagonally so you’re left with… 12. …Something like this! 13. Now grab your tape! You’ll need to tape the back of squared edge of the flag. Make the taped area about 1″ or so wide. 14. Fold the taped portion around the skewer. Easy enough, right? 15. Make sure you leave a little room between the flag and the glitter ball. This space will be used for ribbons! 16. 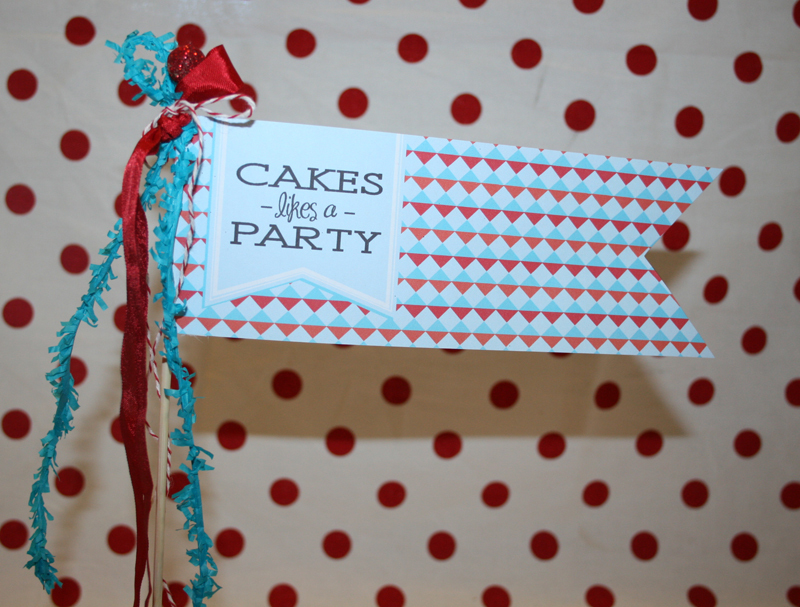 Speaking of ribbons… grab a few of your favs and either pinch the center of each ribbon together or tie it in a knot. 17. 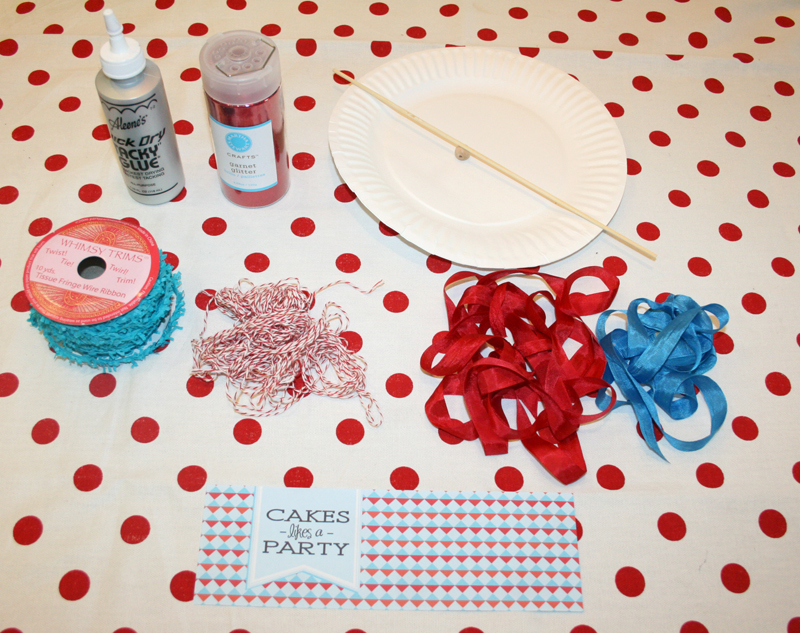 Tie the ribbons onto the flag with using your smallest ribbon. 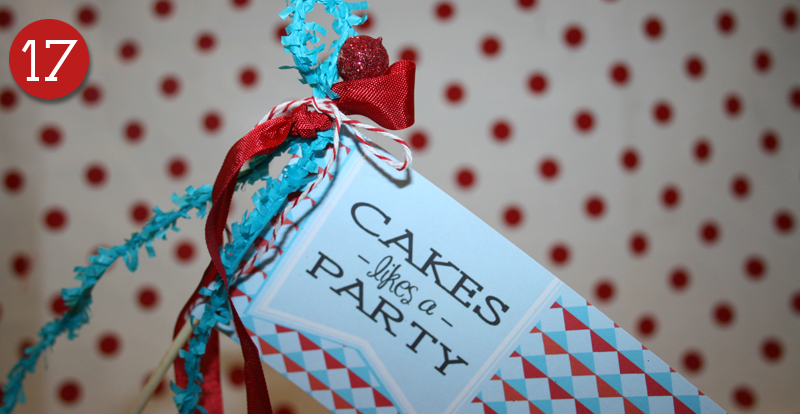 Baker’s twine is actually a great option because it’s thin and looks super cute, but you can make anything work! And what do you know? You’re all done! So cute! Now what can you do with a flag like this? 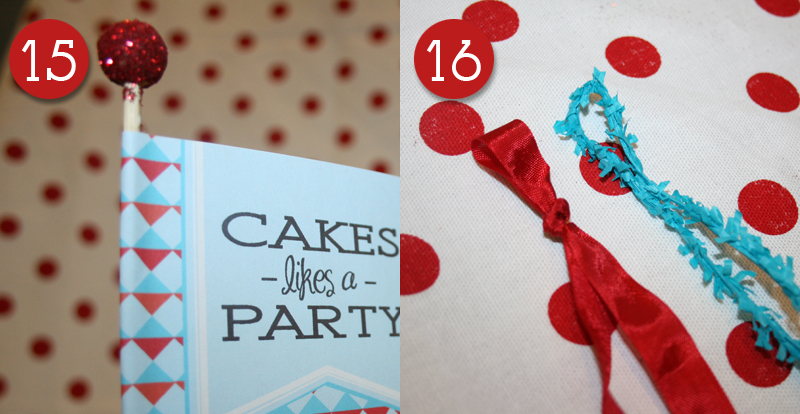 Have fun creating, friends, and thanks Crafty Jan for your tutorial! Now let’s all wave our flags as I wave bye bye! 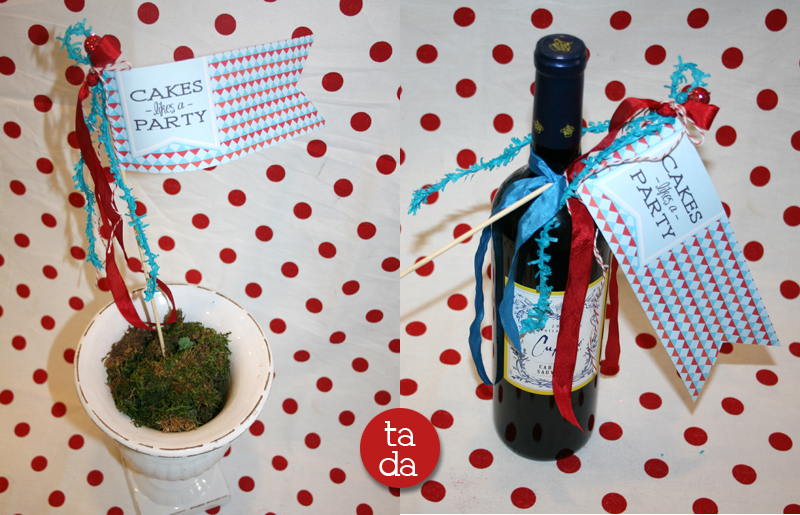 This entry was posted in crafty jan, how to's and tagged diy crafts, flag tutorial, hostess gift ideas, how to crafts, make pennant flag, paper flags, pennant flags by Annika. Bookmark the permalink. Oh how I love this! Thank you both!